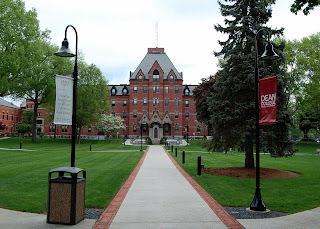 Franklin Matters: "a quality education that will last beyond their time here"
"a quality education that will last beyond their time here"
"Dean College was recently awarded a grant of $180,150 to help fuel a new internship experience. The idea of the program is to link classroom experiences with practical, real-life encounters. The proposed four-year curriculum will integrate the classroom and internships, said Associate Vice President Wendy Adler. “Dean College is thrilled to receive funding from the Davis Educational Foundation,” said Adler, who is the project co-director."